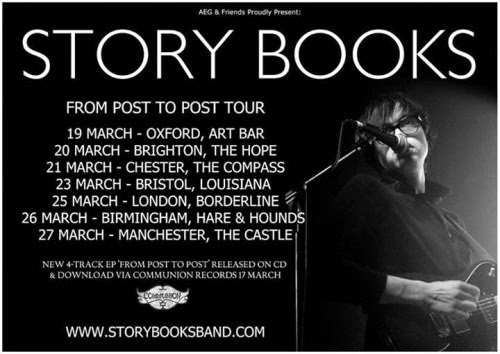 EP and tour info here. Here is a brilliant new Jack Savoretti track Written In Scars performed acoustically for The Mahogany Sessions. tractors, girls, fireworks - just a normal music video, right? Check out the video for the latest Arctic Monkeys single One For The Road taken off of their fifth consecutive number 1 album, AM. The track is one of my favourites from the album alongside Snap Out Of It and the wonderful R U Mine?. The band are currently on a UK tour and a few of my friends have gone to London to see them tonight.. not jealous, nope, not at all. 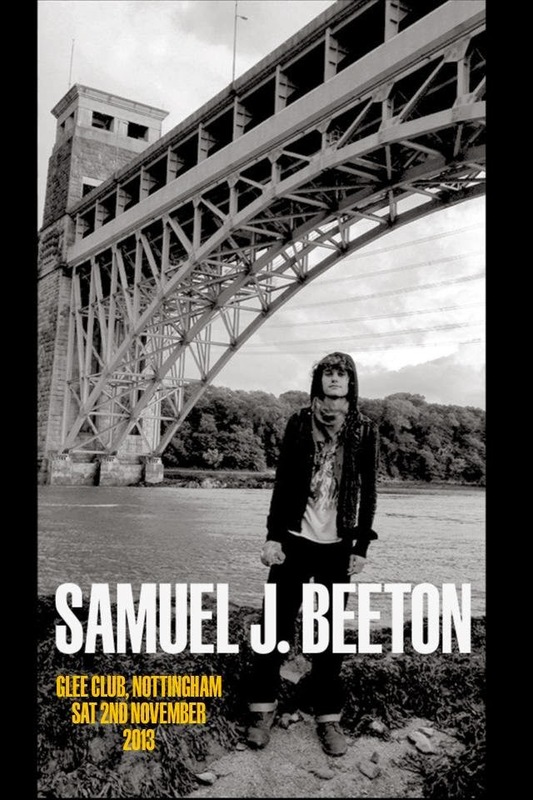 Listen to Sam Beeton's latest track The Yearling's Song - played on BBC's The Beat recently. The track is the latest release of Sam's unique Record Club, a subscription service through which fans get Sam's latest songs (on a physical CD) as and when they are written, recorded and produced. You can find out more about the Record Club here. Loving this, Franz Ferdinand performing Right Action on Later... with Jools Holland. I wasn't aware of their new record (Right Thoughts, Right Words, Right Action) until I saw it in HMV and I wasn't sure whether to buy it, and worried that I might be disappointed because I really loved their older stuff when I was growing up. Fear not, however, the new record (which I've since bought on vinyl) is fantastic, one of my favourite new albums of this year in fact. The tracks are catchy and showcase quite a range, a few start pretty slowly but the album retains the band's fun sound which you can't help but want to dance to. Alone, a lot of the tracks stand out as having single material. What's more, it's clearly a Franz Ferdinand record, you can hear clear elements of their older records in this one, which is great as it was the only worry I had about the album! The above video is one of the best tracks of the album, alongside my personal favourites Stand On The Horizon, Evil Eye and Bullet. The Hoosiers (who you'll probably remember them from tracks including Goodbye Mr A, Worried About Ray and Cops & Robbers) have released a new track, Somewhere In The Distance. They've just announced details of their third studio album, The News From Nowhere, which you can pre-order now! The record is almost finished, and is set to be released on the 3rd March 2014. It'll be released then for download and on CD, but you can currently pre-order (and you'll receive the album earlier than everyone else) through The Hoosiers own website. To fund things such as promoting the record, the band are running their own Kickstarter/PledgeMusic type project. You can pre-order an array of different bundles, with different things such as a t shirt, mug, vinyl, or your very own The Hoosiers gig. Part of the money you spend will be helping the record so it's win win really! There is a lot more information on the contents of the different bundles and their prices on the band's website here, but for now, take a listen to the new track and share it with others if you like it. This guy, Big Fin, is honestly one of the best musicians I've started listening to this year. He's currently Dry The River's guitar tech and supported them when I saw them at an intimate show in June, and his set was probably one of the best sets I've listened to. No gimmicks, just him and his guitar. The songs have a great sound both recorded and live - especially if you're into artists such as Dry The River - and the set was just so lovely because everybody was really quiet and respectful, no talking, which is quite rare at gigs, and especially during support slots. Story Books performing Peregrine for Les Accords Dehors at this years Leefest, a really stripped back and stunning performance. This band are so great live... and if you don't believe me then you're in for a treat as they've just been announced as support for Fossil Collective's October tour! Here's the wonderful King Charles performing his track St. Peter's Gate for Off Guard Gigs at Latitude 2013. 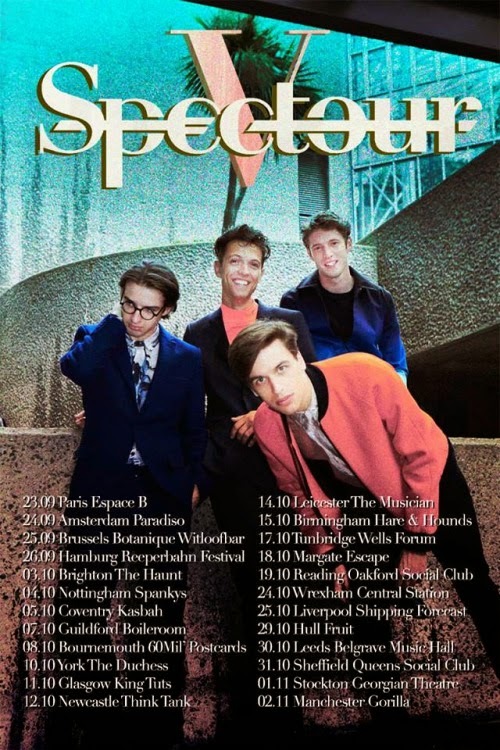 Ticket's for Spector's upcoming tour 'Spectour V' went on sale yesterday. It's cheap and they're visiting a lot of places in the UK so if you can try to get along to a show! You might recognise their songs Celestine and Chevy Thunder. An oldie (not that old..) but a goodie. The Kooks' cover of Foster The People's Pumped Up Kicks for BBC Radio 1's Live Lounge. Watch the video for Panic! At The Disco's new track This Is Gospel, taken from their upcoming studio album Too Weird To Live, Too Rare To Die! which is set to be released later this year. The album also features the recent single Miss Jackson. Ralph of To Kill A King performing the track Cannibals With Cutlery acoustically at this year's Leefest. The track is taken from their debut album of the same name which was released earlier this year. Check out this video of The Vaccines performing If You Wanna at the Lewes Stopover. Check out the new video for Biffy Clyro's Victory Over The Sun, a track which comes from the Scottish alternative rock trio's album Opposites, which topped the UK charts when it was released earlier this year. Have a listen to The Sea & I's beautiful track Improve, taken from their debut EP. Love this video of We Were Evergreen performing their track Leeway live at NOVA. In the past few weeks I've completely fallen for Vampire Weekend. Can not wait to see them (with Noah & The Whale!!) in November! Superb King Charles performing Coco Chitty at Tramlines Festival 2013. Sam Beeton headlines the Glee Club Nottingham on 2nd November. You can get tickets here. Clip I got of a new Dry The River song called Gethsemane from their gig at the Portland Arms in Cambridge. This and the rest of the set was wonderful, especially after wanting to see them live for quite a while! Panic! At The Disco have today released a new track called Miss Jackson, along with the news of a tour, and that their new album Too Weird To Live is to be released on October 8th worldwide! A good day on all accounts. The new (ish) video for Mumford & Sons' track Babel, the title track from their new album. 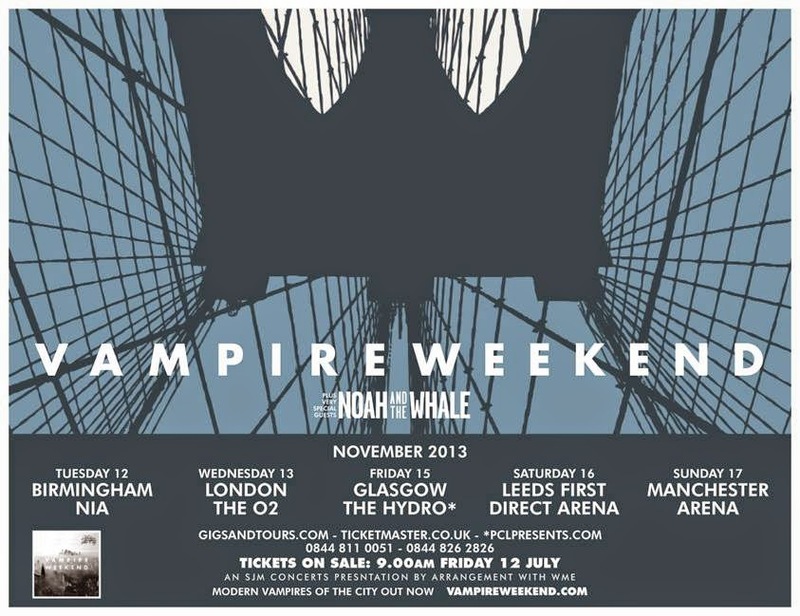 Vampire Weekend have just released details of a 5 date UK tour in November, with support from the superb Noah & The Whale! The Sea & I performing their track Improve at a Sofar Sounds show in London. What I particularly love about this (apart from that Irwin Sparkes of The Hoosiers is a member of the band), is their really beautiful harmonies that come together with an array of instruments to create a very unique sound that is extremely pleasing to the ear! New video for the Noah & The Whale track Lifetime, taken from their record Heart Of Nowhere. Arctic Monkeys recently announced that their 5th album AM is to be released on September 9th. To coincide with this, they're completing a UK arena tour starting at Newcastle Metro Radio Arena on 22nd October and visiting Manchester, Birmingham, and London among other cities. 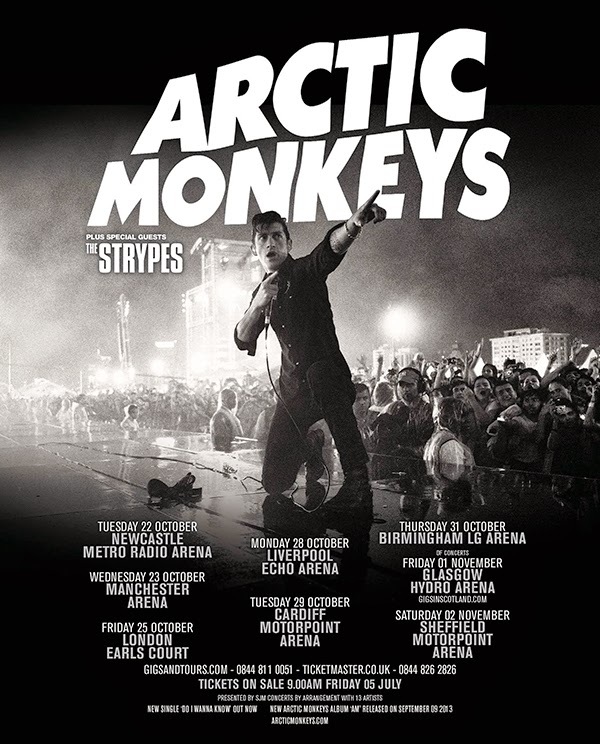 Support will come from The Strypes, and tickets go on sale at 9am on 5th July.